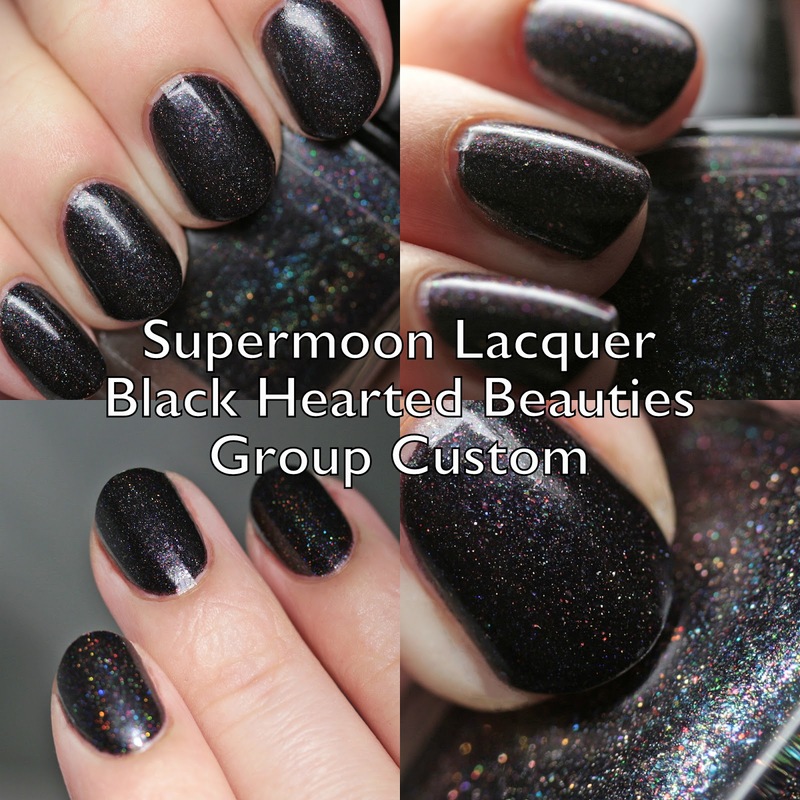 Supermoon Lacquer Protostar is a black with a rainbow of duochrome shimmer and flakes, as well as multichrome and silver and gold holo microglitter. It covers in two thin coats and has a medium dry time. 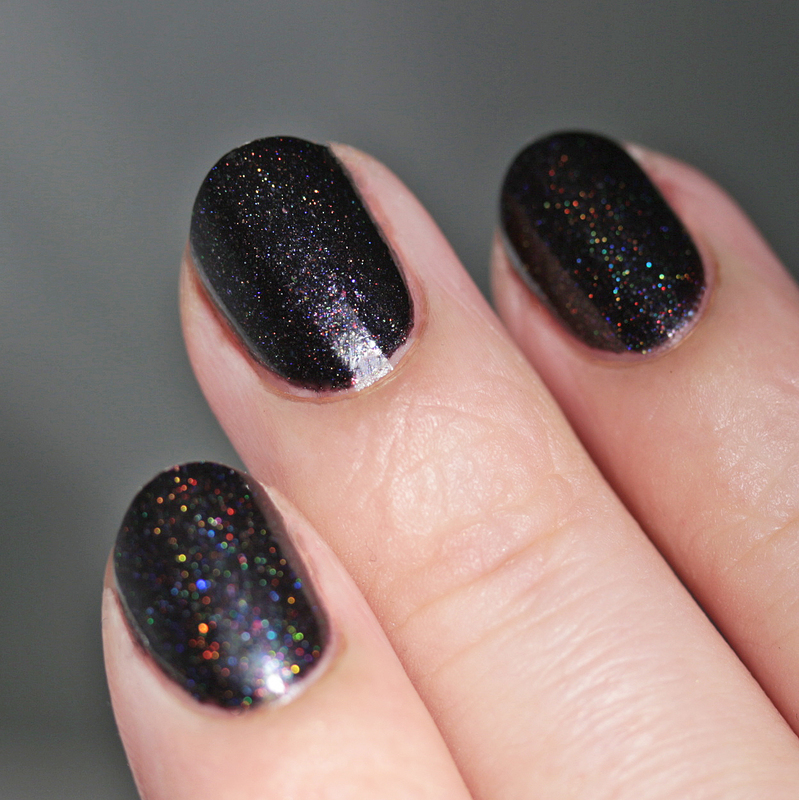 You will need top coat to make it perfectly smooth due to the glitters, but one coat will do. Great formula and the effect is stunning. 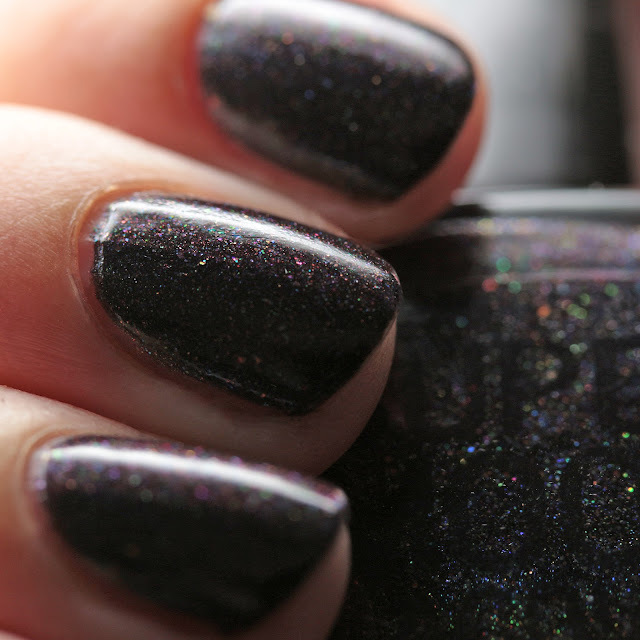 The shimmers show up easily through the opaque black base and it has way more sparkle in person than you can see in photos. Mardi put #alltheingredients in this one and it works amazingly well. If you want this polish, be sure to join the Black Hearted Beauties group on Facebook before January 7, when this polish disappears! 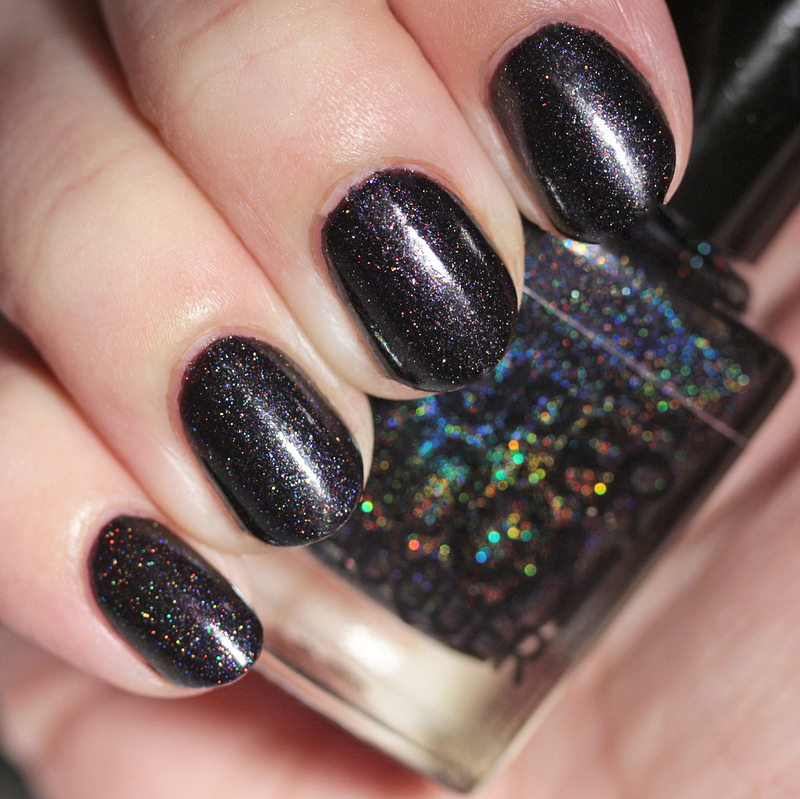 You won't regret it, as they are lining up a whole bunch of talented indie makers to share their love of black polish.